On Monday morning, we continued collecting data from the preservation protocol. Throughout the day, we miniprepped, digested, ran a gel, and excised G2, G3, and GFP. Additionally, we prepared to perform a trial run of the MIC50 assay. iGEM Toulouse Skyped with us about our projects and potential collaborations. We have determined that they will be replicating our bacterial preservation protocol with lung microbes and we will (potentially) be testing their peptides on rat guts. Finally, we received a message from How It Works magazine about a feature they are writing on crowdfunding scientific research, so we hope to be in the upcoming issue! Tuesday’s wet lab included continuations of the previous day’s work with the preservation protocol and gel purification for all gBlocks except gBlock 3. We miniprepped, digested and prepared a gel for the gBlock 3 PCR products and began the benzene growth inhibition assay by collecting Day 0’s initial data. Additionally, we performed a Gibson assembly on RBS1 with GFP and the lower operon of gBlocks 4-6. Finally, we met with the West Lafayette Fire Department to discuss their opinions on potentially using our product. They were very enthusiastic about the project, and even came up with the idea of including the bacteria in their compressed air tanks that they use while working to put out fires. They informed us of other compounds they encounter during their jobs which we were able to find short pathways to degradation which we can add to our overall product in the future. Overall, the trip was very successful! On Wednesday, we continued the preservation protocol and did a lot of work on our Wiki as Thursday was an internal Wiki draft deadline. We would love some feedback, if you have the chance. Follow this link to a form to view various wiki pages and give your opinions on our work! Additionally in the wet lab, we transformed and plated E. coli with RBS 1 and the lower operon of gBlocks 4-6, A-tailed gBlock 3, inoculated all gBlocks except 3, performed TodX ligations on gBlocks 1 and 4, prepared a PCR mix for gBlock 3, and extracted bands for gBlock 3’s gel. Finally, we recorded data from Day 1 of the benzene growth inhibition assay. Thursday we continued the bacterial preservation protocol and performed ten minipreps, a transformation on gBlock 3, and gel purification on gBlocks 1-3. Prior to our weekly lab meeting, we attended a talk by the National Cancer Institute’s acting director, Dr. Douglas R. Lowy. He discussed the different ways in which the NCI categorizes cancer research and the new programs they have for funding research in a variety of fields. He also stressed the need for getting young people and people from nontraditional backgrounds involved in cancer research, as we can’t just have the biologists and oncologists looking at a problem as complex as cancer; we need to come at it from all angles. On Friday, we finished the bacterial preservation protocol, transformed E. coli with the upper operon, and digested, ran gels, and extracted bands for all gBlocks except 3. 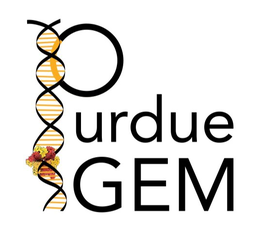 We also had Skype calls with iGEM teams from Washington University in St. Louis and Michigan State University! WashU has offered to test the strength of our universal RBS in their cyanobacteria while we are going to help them go for the hardware prize by building and giving them feedback on their UV exposure box. MSU has asked for help with their wiki code and we have also offered to replicate some protocols with Shewanella that we have from a previous project. They have offered to process big data with R for statistical analysis, perform gas chromatography, or give us access to their microplate readers when we (hopefully) go visit them at the end of July for a Midwest meetup! We calculated the titer of the preservation protocol and performed colony PCR on two colonies from Gibson transformations from the week, gel electrophoresis on the colony PCR products, gBlock 3 PCR, and gBlocks 1,2,4,5, and 6 pGEM digestions. We also performed a Gibson assembly on a universal RBS and upper operon, digested the products, and performed PCR purification.